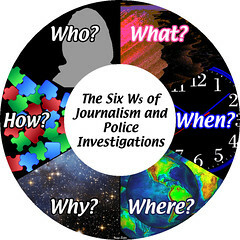 The six Ws of journalism and police investigations to elucidate or investigate a saturation — who, what, when, where, why, and how. 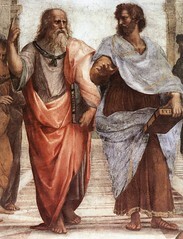 Plato (left) and Aristotle used philosophy to gain knowledge about the world. Prayer and meditation are part of many religious practices. 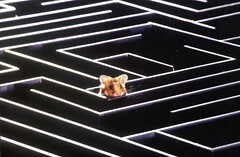 A mouse uses trial and error to learn a maze. 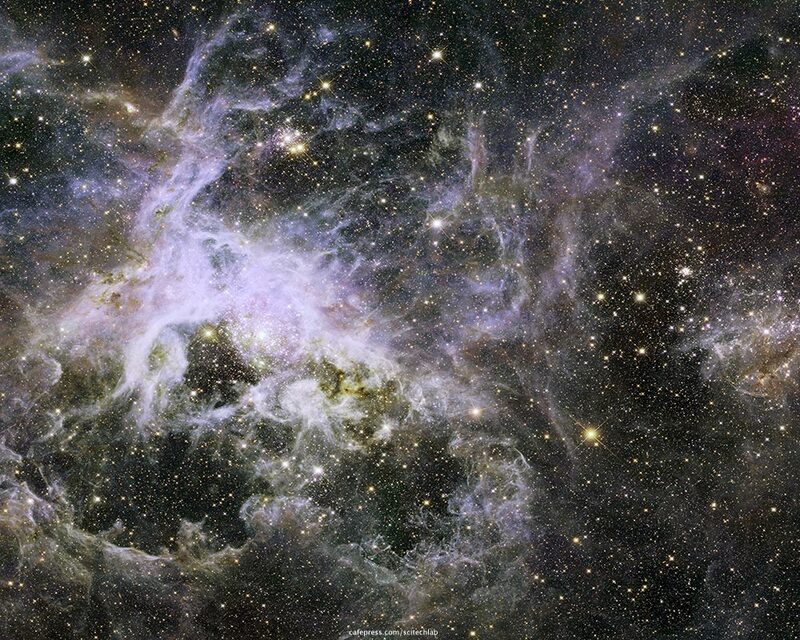 Science is one method of investigating the universe. 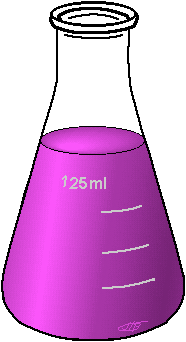 Many people think of science as chemistry, geology, etc. 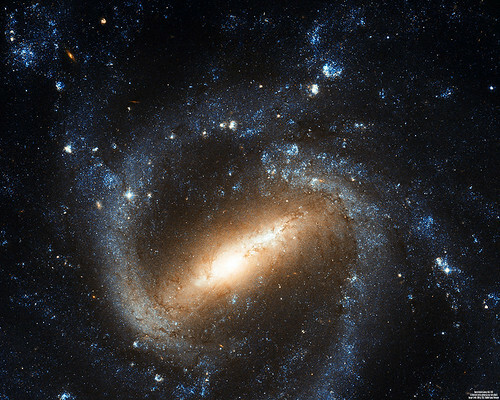 These are fields or bodies of knowledge discovered through science or areas investigated through science. 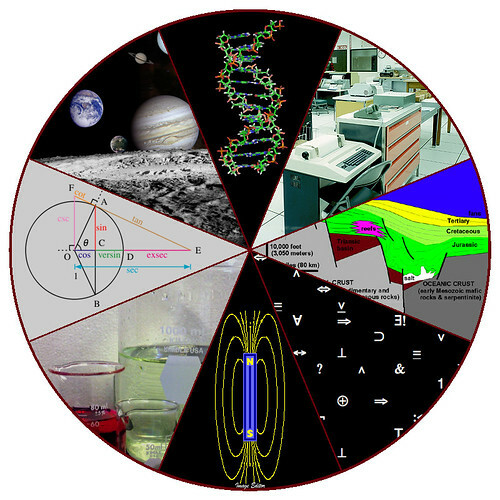 Science, loosely speaking, is a technique of investigating the observable world around us in a systematic manner and explaining it in a testable, repeatable fashion. However, science isn’t the only technique available to us. The Six Ws (also known as the Five Ws or the Five Ws and one H) used by journalists and police are consider fundamental for getting the "full" story on something. The idea is that for a investigation to be considered complete it must answer the six questions represented by an interrogative word — who, what, when, where, why, and how. These interrogative words should be answered by a verifiable factual answer. It is of importance that none of these questions can be answered by a simple "yes" or "no" answer. Philosophy uses a systematic approach and a reliance on reasoned argument to study general and fundamental problems. Philosophy looks at areas such as existence, knowledge, truth, justice, beauty, validity, mind, and language. 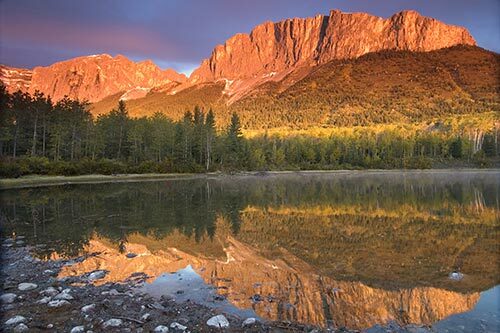 Spirituality seeks to achieve communion, identity with, conscious awareness, or re-integration with the ultimate reality, spiritual truth, or Godhead. 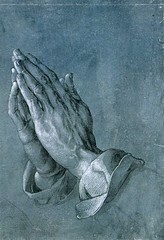 Spirituality uses direct experience, intuition, or insight. I’m sure those of you who believe in God, found your fate in God not by using science but through some combination of religious/spiritual experience. Trial and error is a general method of problem solving to obtaining knowledge. One decides on a possible answer and then applies it to the problem. If the solution is not successful, another possibility is selected that is subsequently applied. The process continues until a solution is found or one gives up. Exploration is a time honored method of gaining knowledge. Who can forget past explorers such as Marco Polo, Christopher Columbus, Captain James Cook, Sir Edmund Percival Hillary, and Neil Alden Armstrong. 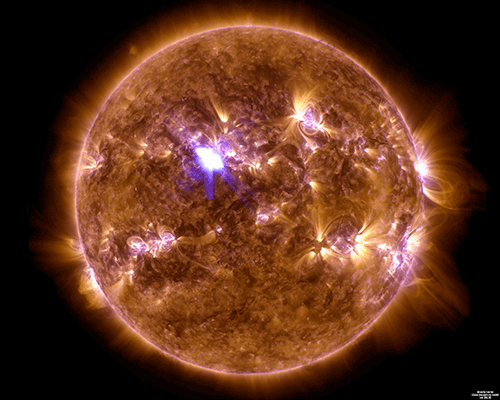 Today many of our explorers are not humans but machines we have created to act as our surrogates. In our past exploration of space the Galileo, Viking, and Pioneer missions gathered information for us. Today other missions such as the Mars Exploration Rovers, Spirit and Opportunity, continue our exploration of space. 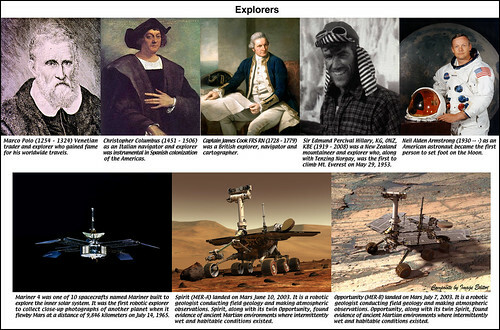 Human and machines explorers through history. No one technique is necessarily any better than another. It just depends on what you’re are trying to learn.